From knowledge sharing to digitization, your membership opens up the opportunity to give your faculty, students, and staff the support they need to be successful. Membership in OPAL provides direct access to OhioNET staff whose support protects you from the consequences of potential staffing turnover, software system changes, and technology barriers. You'll have a direct line to IT professionals specializing in our niche. The collective power of OPAL also helps negotiate contracts with partners on your behalf, taking the burden off of you and your staff. As a specialized consortium, our participants are actively engaged in sharing best practices and knowledge with each other. Members have the opportunity to receive OPAL mailing lists, join communities of interest and committee meetings, visit other libraries and attend OPAL conferences. Whatever stage in their OPAL participation, our members have access to onboarding, training, and mentoring resources to meet their specific needs. All OPAL libraries use a shared Sierra Integrated Library System (ILS) from Innovative Interfaces Inc., to manage various day-to-day collection management and financial activities and to provide management insight through reports and statistical functions. The shared library platform also facilitates inter-library borrowing and materials lending within OPAL. In addition, it enables OPAL participation in OhioLINK, providing access to a vast shared collection of millions of books, journal articles and other research materials, in physical and electronic form. OPAL libraries can opt into the OPAL Digital Collections project, built on the CONTENTdm digital object management platform. Participating libraries use CONTENTdm to build, manage, and showcase their archival or special collections. As part of the effort to provide users with quality materials, OPAL subscribes to EBSCO's Academic eBook Collection. With over 150,000 titles from several leading university presses, this broad-based collection balances the consortium's liberal arts needs with its more specialized needs. All ebooks are available with unlimited user access, and titles are regularly added to the collection.  OPAL operates and maintains a proxy server for each library, allowing users to access online articles, ebooks, and videos from virtually anywhere in the world. For privacy and protection, a Secure Socket Layer (SSL) certificate is installed for everyone. In addition, OPAL members can access online usage reports on demand to streamline statistics and assessment projects. LibGuides are librarian-created, online portals to content-rich multimedia guides for patrons. Using LibGuides can increase the use of your library’s resources and services. Other benefits include: no html or CSS experience needed, ability to easily integrate widgets, content sharing, global edits and URL checkers, and is hosted on a separate server. OPAL LibGuides subscriptions are generally renewed during the summer with a consortia discount.